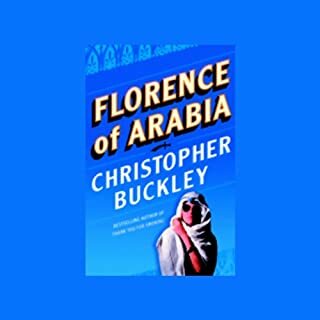 Christopher Buckley's comic thriller takes readers to the Arab land of Matar, where a philandering emir allays his restless wife by allowing her to start a TV network for Arab women. She is joined in this endeavor by a maverick American State Department officer known as Florence, who wants to use the TV network to start a revolution among Islamic women. 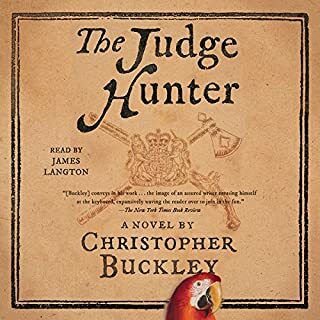 From New York Times best-selling author Christopher Buckley, "one of the funniest writers in the English language" (Tom Wolfe), a compelling and hilarious adventure featuring a 16th-century relic hunter and his best friend, Albrecht Dürer, who conspire to forge the Shroud of Turin. The year is 1517. Dismas is a relic hunter: one who procures "authentic" religious relics for wealthy and influential clients. His two most important patrons are Frederick the Wise, elector of Saxony; and soon-to-be Cardinal Albrecht of Mainz. While Frederick is drawn to the recent writing of Martin Luther, Albrecht pursues the financial and political benefits of religion and seeks to buy a cardinalship through the selling of indulgences. When Albrecht's ambitions increase his demands for grander and more marketable relics, Dismas and his artist friend, Dürer, conspire to manufacture a shroud to sell to the unsuspecting noble. Unfortunately Dürer's reckless pride exposes Albrecht's newly acquired shroud as a fake, so Albrecht puts Dismas and Dürer in the custody of four loutish mercenaries and sends them all to steal Christ's burial cloth (the Shroud of Chambéry), Europe's most celebrated relic. On their journey to Savoy, where the Shroud will be displayed, they battle a lustful count and are joined by a beautiful female apothecary. It is only when they reach their destination that they realize they are not alone in their intentions to acquire a relic of dubious legitimacy. Filled with fascinating details about art, religion, politics, and science; Vatican intrigue; and Buckley's signature wit, The Relic Master is a delightfully rich and intelligent comic adventure. 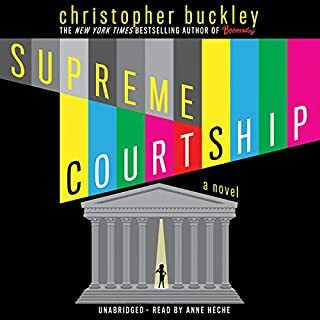 Christopher Buckley has written a marvelous medieval tale filled with unforgettable characters and a must-turn-the-page-plot, loaded with interesting historical factoids although a work of fiction, and hilarious dialogue and scenes. I read it in a day and was sorry it ended. A bit slow to start, but great fun! A cheeky tale of a relic master, a painter, a fake shroud of Christ, another fake shroud, a quest, a maiden and a couple of bawdy soldiers. Although a bit slow to start, it's intelligent and peopled with hilarious characters. Stick with it until the quest begins and you won't regret it. A great reading of a mediocre story. 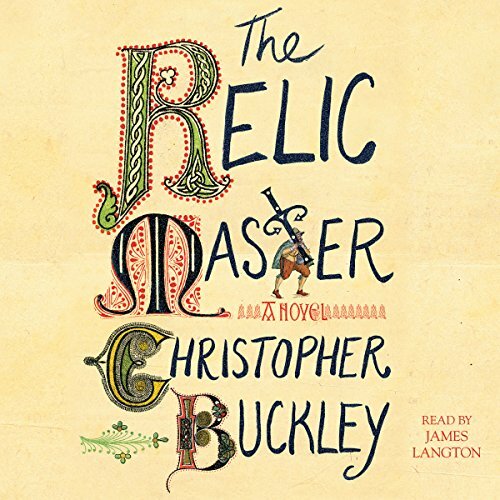 The Relic Master is an entertaining listen but not one of Christopher Buckley's best efforts. Nevertheless James Langton's masterful performance makes the audiobook well worth the time required and the price levied. I enjoyed the idea of a "relic master" whose job it is to search out relics for well-placed patrons, but the actual telling of the story was too slow to really be engaging. The relic master loses his savings and resorts to helping to create and sell a fake Shroud to an unscrupulous buyer. It's not bad, by any means, but it's not great, either. After decades of satirizing contemporary politics. Christopher Buckley turns his attention to the politics of the 16th century, a time when the corruption of the church and its hold on the ruling class was first assailed by Martin Luther. At the center of it all is Dismas, a dealer of religious relics who understands full well that his trade is a massive con game. 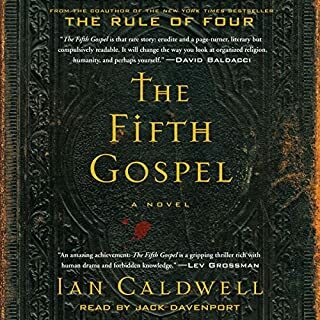 So Dismas and his BFF Albrecht Durer (the real life German artist) decide to cash in on this lunacy by forging the shroud of Turin, and when that scheme fails. they are forced to steal the "real" shroud of Turin even as another thief tries to do the same. Much hilarity ensues. Or, much hilarity should ensue, but does not. 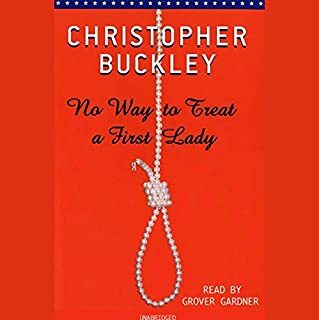 One of the greatest joys of audiobooks is listening to humorous works. The narrators' skill set usually includes a sense of comic timing that beats that of the voice inside our own heads. It's the difference between reading a joke off the written page or hearing a comedian tell it. James Langdon is a worthy narrator -- he does a commendable workmanlike job of reading this book to us. But he does too good of a job -- he is a straight man reading straight through all the funny lines. Comedy is apparently not in his tool box. So while he and the author do a fine job of telling us the story of an interesting historical caper, it just isn't funny. You can hear that there are jokes in there, but they are not read as jokes. 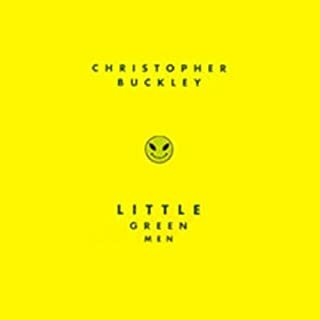 The story is a good one, the history exceptionally well researched, the satirical elements in evidence, and one can easily draw parallels to Buckley's usual target, contemporary politics. I just wish it would have been as funny as advertised. This book is perfectly balanced for me. The time and place are interesting and underrepresented in other books. The characters are really lively and relatable. The story is clear and and satisfying in flow.The performance is great for any activity, sports, commuting or active listening. Just the best audiobook I've ever heard. It's also quite concise. I'm actually sad it is finished. This was a fun frolic through history. I loved the different characters and the story twists. Funny, thoughtful, and offering a mostly credible picture of the time period. Very well done.